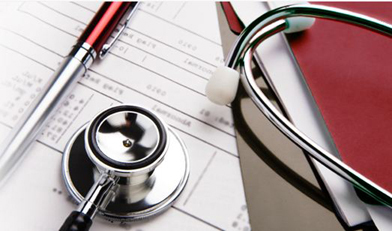 Looking for the right outsourced medical billing company can be a daunting task if you don’t know just what to look for. In a nutshell, you want education, experience and technology. Look for Certified Professional Coders and Certified Specialty Coders with experience in your specialty. Just like you, CPCs have invested the time and money into being prepared to perform exceptionally well in their chosen field, and certified specialty coders have the education and experience to know the ins and outs of your particular specialty. Look for a company that features the latest in medical billing technologies, too, including claim scrubbers, real-time monitoring of claims, and EMR interfacing capabilities. Look for a company that gives you electronic options for transmitting your billing to them for processing, and one that is big enough to negotiate good rates for online bill pay and patient statements. Longevity is another important factor to ask about—how long have they been in business, and can you have confidence that they’ll be there with you as your practice grows? At Medical Billing Resources, we feature Certified Professional Coders and Certified Specialty Coders who all have years in their field. They know what to look for in your claims in terms of missing codes and modifiers that will maximize the revenue you collect. All told, our principals have over 30 years of experience in medical billing and coding, so you know we have the longevity to mean you’re secure in choosing us as your partner for the long haul. Our state-of-the-art computer systems also affords you the latest in technology. We have a backup generator to ensure we don’t lose power, and redundant internet connectivity to make sure you don’t lose your connection to our servers. We also have multiple electronic methods for you to transmit your billing to us, and the faster your billing gets out, the faster you get paid. Our client login portal lets you view your monthly reports online, and online patient payment options mean you can reduce your patient accounts receivable by as much as 35%. You work hard to provide excellent care, and with Medical Billing Resources, you’ll know that our systems and processes, our education, experience, and technology will be the partner you need to succeed. Please contact us today to discuss how you can utilize our systems to increase your revenue and grow your practice.